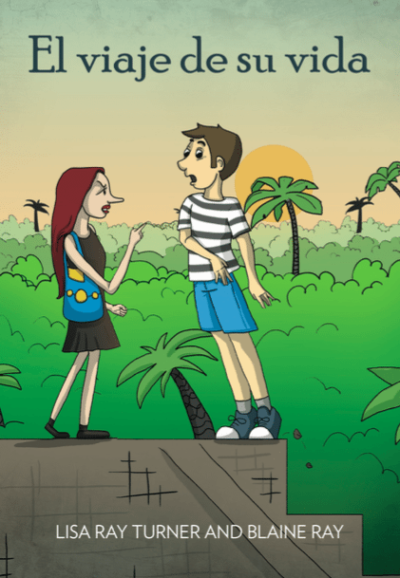 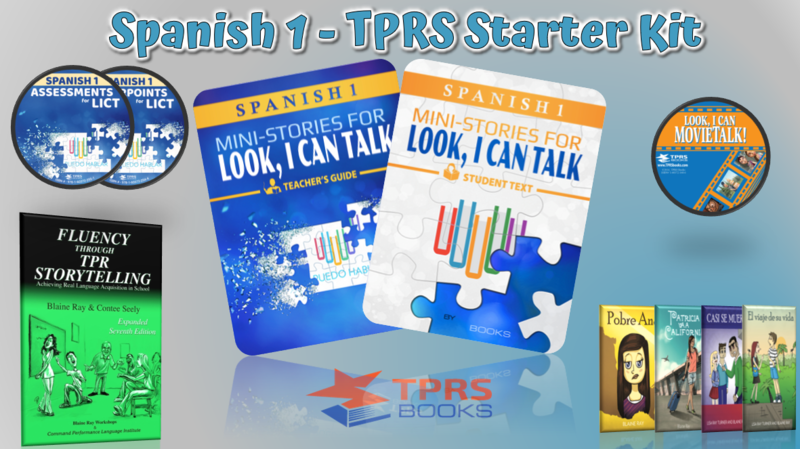 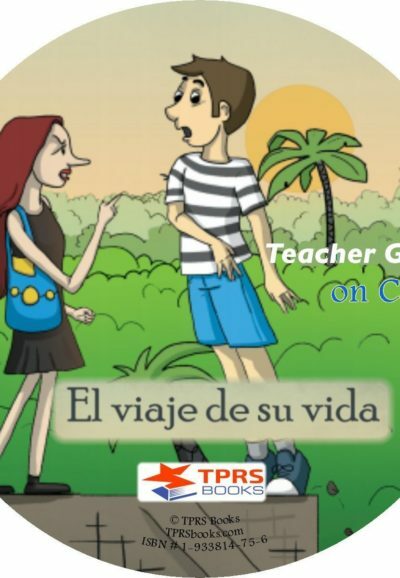 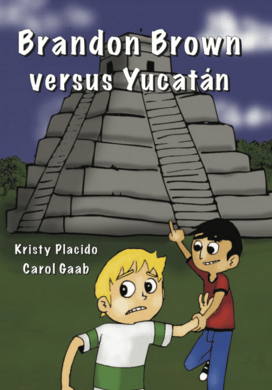 This is a wonderful collection of resources that will help teachers figure out how to use the TPRS method along with short stories, novels, and other multimedia resources such as MovieTalk videos found on YouTube. 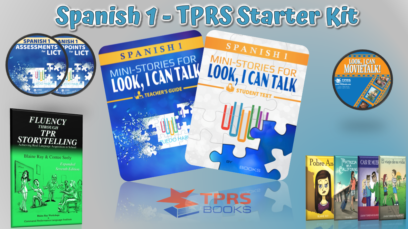 Mini-stories Student Text for for Look, I Can Talk! 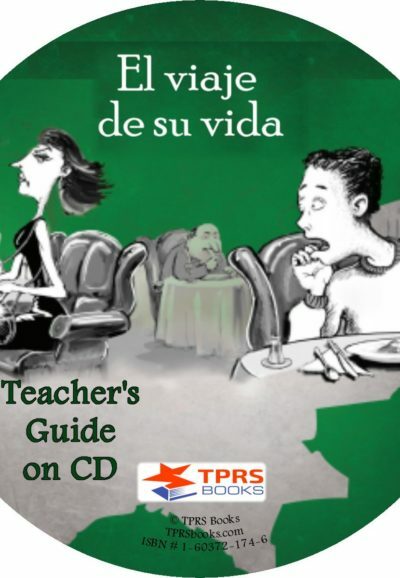 Look, I Can MovieTalk book on CD with reproducible readings.